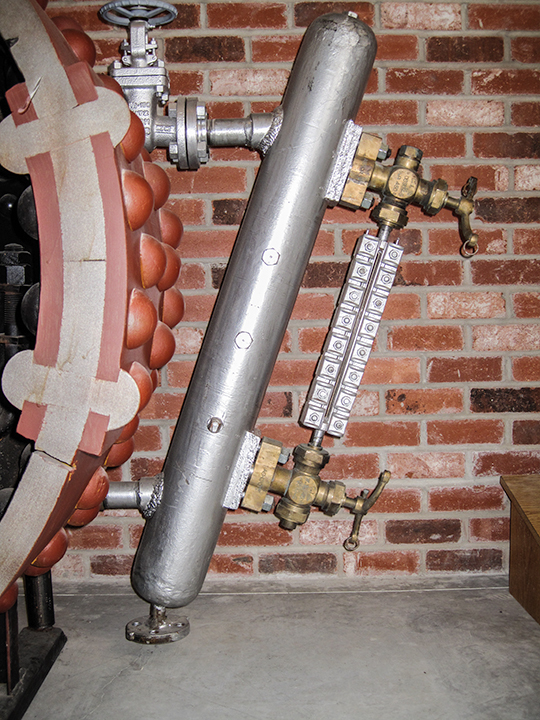 The Water Level Gauge displays the level of water within a boiler. The level can be seen in the centre glass on the gauge, which is also known as the gauge glass. The gauge is made from a thin strip of mica, which is less than 1/32 of an inch thick. It is held in place with steel clamps. The strip of mica holds steam and water at 425 pounds of pressure.